See you in New Mexico! 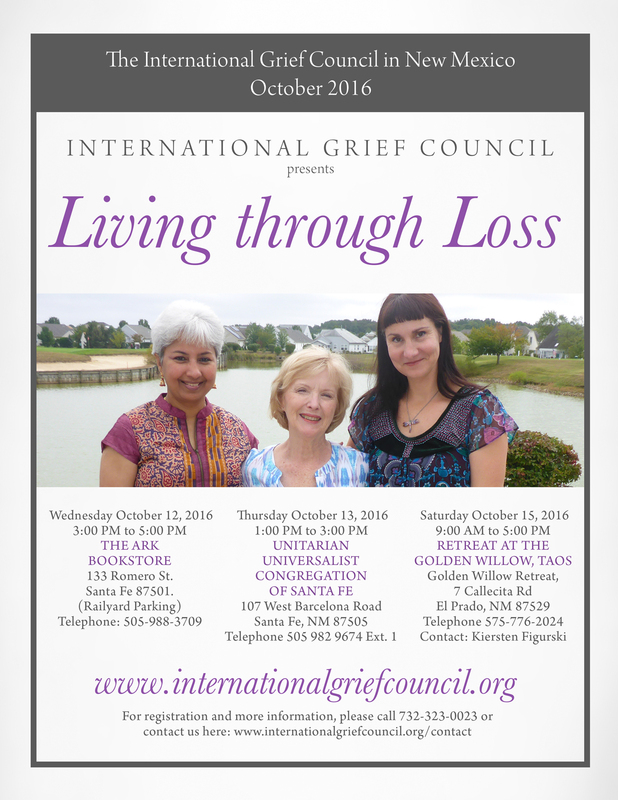 I am excited and honoured to take part in a series of events, together with my two soul-sisters from the International Grief Council Lo Anne Mayer and Uma Girish, in New Mexico in October. We’ll have two events in Santa Fe (October 12 & 13) and a retreat in Taos, at the Golden Willow, on October 15. Please find more details here and in the events section of this website. 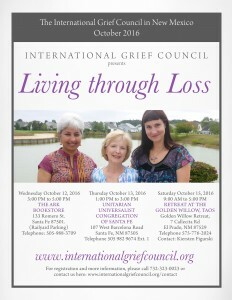 Hope to see you there, and please share the information with anyone who has recently lost a loved one or who is still grieving after many years.